Wife and Children: Anjali (born November 10, 1967), a paediatrician ,Sara (born October 12, 1997), and Arjun (born September 24, 1999). 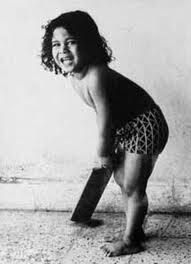 Sachin Ramesh Tendulkar was born on 24 April 1973 in Bombay to Ramesh and Rajni Tendulkar. 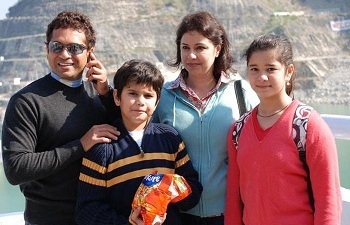 His father gave him the name Sachin on his favorite music director, Sachin Dev Burman. 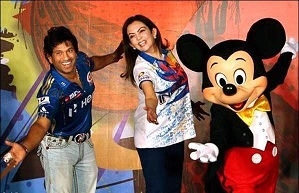 Sachin has three siblings Ajit, Nitin and Savita. Being the elder brother Ajit gave him the initial encouragement to play cricket. 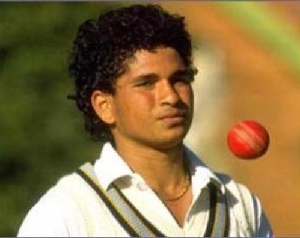 Sachin completed his high school from Sharadasharam Vidyamandir, and it was here where he met his mentor, coach and creator, Ramakant Achrekar. Very few know that the greatest batsman of the world who gives nightmares to many fast bowlers first started as a fast bowler himself. But was suggested by Cricket Greats to focus on his batting. From his early days he impressed many by his batting. 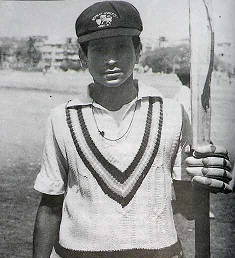 At just 13 he started playing for cricket club of India and at the age of 15 he played for Bombay in state level competition. He scored century on his debut in first class cricket and he was the youngest to do so. He scored a century in first matches of both the Deodhar and Duleep Trophy. He made his presence felt when he made an unbeaten 326 in a 664 partnership with Vinod Kambli in 1988 in an interschool match. 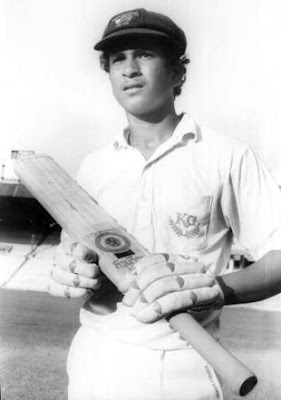 Within one year of his entry in state level he got in the eye of Indian selectors and was selected to play for India against Pakistan at the age of 16 in 1989. Though he made only 15 in that test match but as a young batsman showed a lot of promise. He made his ODI debut on December 1989 against Pakistan. 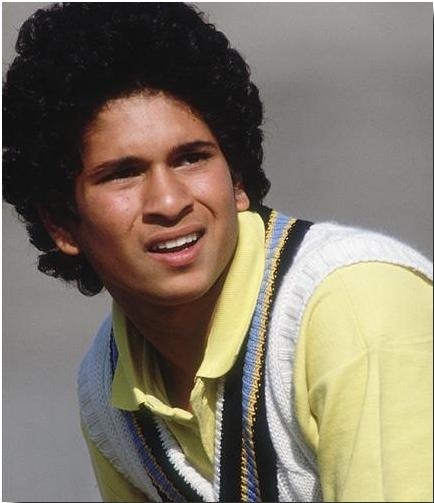 He scored his first test century in 1990 against England at the age of 18, and became the second youngest to do so in test history. However it took him 79 ODIs to get to his first century in this format. 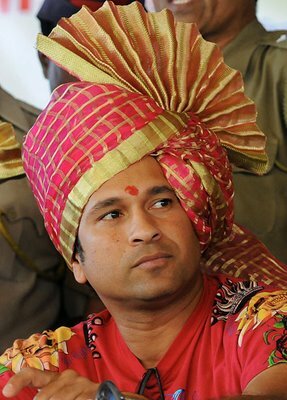 On 9 September 1994 he scored his first ODI century against Australia. He played his first world cup in 1992 and since then he has played for India in six world cups the most by any cricketer of the world. He has scored more than 200 runs in these world cups, again the highest by any batsmen. He has 48 ODI centuries and 51 Test centuries against his name. 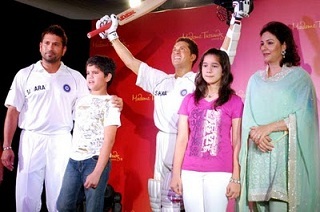 He has made 18,254 ODI runs and 15470 runs in Test matches. He has played 460 ODI matches and 188 test matches. He holds records for all the above statistics. He became the first batsmen to reach to 200 in ODIs and he did it in against South Africa. 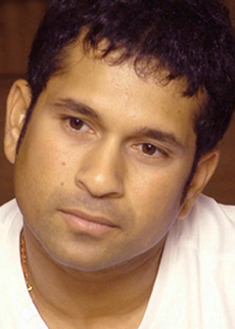 His great contribution to Indian cricket has gained him several accolades from around the world. He received Arjuna award in 1994, Wisden Cricketer of the year 1997, Rajiv Gandhi Khel Ratna Award (Highest award given to Indian sportsmen) in 1997, Padma Shri in 1999, Maharashtra Bhushan Award in 2001, became the first cricketer to be given Honorary Group Captain post in Indian Air Force and received Padma Vibhushan in 2008 (second highest civilian award given in India).